Home 2012 2012 Year-Ender Accomplishment Report Dozen personal personal blog Top 12 of 2012 Wrapping Up 2012 Year-End Report YearEnder 12 of 2012: The 12 Highlights of My 2012! The year 2012 was another wondrous year for me. Many exciting things happened in my life for the said year. I even faced different challenges which I surpassed. But in all those things, the year 2012 marked my celebrity career. It was a shinning year, a year of events! 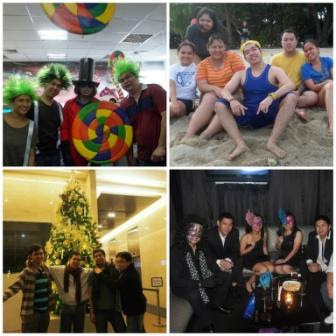 Last 2011, I wasn't able to wrap up my year since I was too busy and I neglected to write my own yearender. But this year, before I face the new challenges of 2013, let me share with you the twelve things which highlighted my year. As I have said, 2012 was my year of the stars! This was the year where I met the brightest stars of the country. 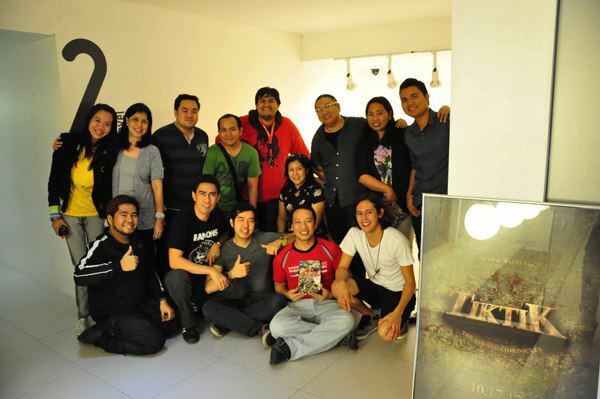 I met different personalities from the movie, TV, and music scenes both local and international. Some of the local artists I met were Angel Locsin, Piolo Pascual, Vilma Santos, Coco Martin, Kris Aquino, John Lloyd Cruz, Anne Curtis, Kim Chiu, Richard Gomez, Aga Muchlach, Dennis Trillo, Marian Rivera, Arnel Pineda, and Sam Milby to name a few. Meanwhile in the international scene were Mario Maurer, Chantavit "Ter" Dhanasevi, Preechaya "Ice" Pongthananikom, and Zac Efron. 2012 was also the year where I got so many invites from the different events. 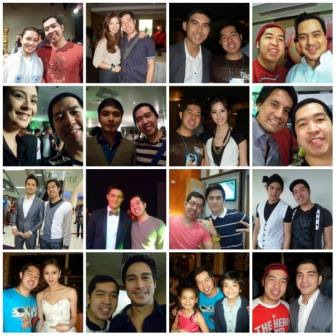 Presscons, movie premieres, concerts, product launches, set visits, bloggers' conferences, and award nights were some of the things which kept me busy in the previous year. In 2012, even though I was busy with the different things outside office, I still managed to excel in terms of my profession. 2012 was also the year where I got my International Software Certification called the ISTQB (International Software Testing Qualification Board). I passed the exam with a high score! For the first time, I got my US VISA with a three-month duration. I was supposed to sent by my company in Nashville, USA for first-hand training and actual work last August. But it was postponed. The schedule then was moved this 2013. Three of my very first blog sites come in new look in 2012. 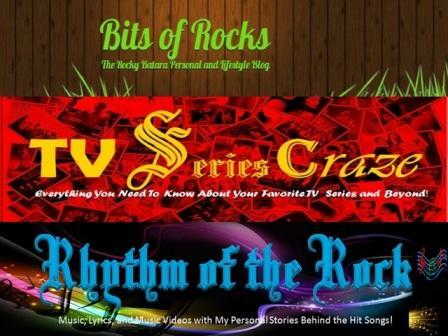 My personal blog Bits of Rocks, my music blog Rhythm of the Rock, and my TV series entertainment blog TV Series Craze all look brand new with their new template designs and with their new logos. They were now looking great and fresh attracting more fans, visitors, and followers. Yes, 2012 was the year when we officially adopt our cute pet cat named Macmac. At first, my mom was hesitant in having a pet cat inside our home. Before, we only feed Macmac outside of our house. But all of a sudden my mom eventually changed her mind and allow Macmac to live with us inside our home sweet home. He now sleeps, eats, and roams around our home. He can sleep everywhere he wants - in my bed, in our sofa, in my brother's computer table, or in my own laptop table. My Three Classic Blogs Come in New Look! The year 2012 was not always a good year. This was also the year when I got conflicts with certain persons. I wouldn't anymore elaborate them here in my yearender. They already know who they are and the challenges I faced. It only proves the saying, "Sa lahat ng gubat may ahas!" As I've said, 2012 was not always a good year. Aside from conflicts which made me stressful last year, one of the things which made 2012 remarkable in not so good category was loosing consecutive material things. These were: my wallet was snatched in the bus in the rainy night of August, my cellphone was lost/dropped in the FX van a week after, my coin purse was lost, and borrowed things were not returned to me by the borrower! 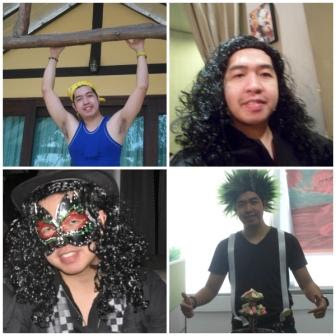 And before the year end on the Christmas eve, my expensive shampoo was stole by my gatecrasher cousin! 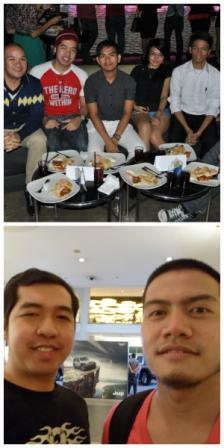 Back in the good things in 2012, the year also served as a reunion with my close friends. I was reunited with my college friends and besfriend! I was with them in some of the events I attended. I even watched three premier night movies (superhero movies) with my bestfriend. 'Rockyron' returned in 2012! My Network of Friends Expand More! I found new set of friends in 2012! Yes, my network of friends truly expanded in the previous year. I met friends from the different events I've attended, from the different organizations, and even in my own office. I even met new bloggers this year. I also joined in different organizations in 2012. 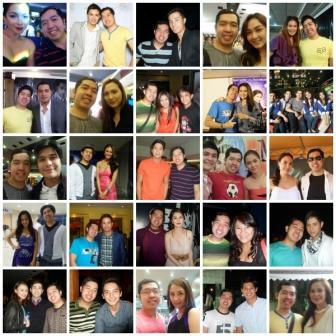 Aside from having new set of friends, my lovelife truly bloomed in 2012! Yes, I was full of romance last year! And take note, I got three affairs at the same time (yup three gfs at the same time) last March. But now I'm stick to one! I was supposed to have another affair but I think that will not prosper because of a certain reason which I will not mention here (baka mabasa niya). About my sexlife, I prefer to shut up this time. 2012 also let me to become a Kapamilya, Kapuso, and Kapatid at the same time! I got chances to attend events and become part of these three networks (ABS-CBN 2, GMA-7, TV5) making me feel like a freelance artist with no exclusivity! I Got Too Many Movie Premieres! We Got a New Pet Cat Macmac! These are the 12 things which paint colors in my 2012. I will cherish and keep all the good things that happened. And of course, I'm throwing away those bad moments but I'll kept the lessons they brought me.